When last we left our dog-loving heroine, her school was attacked by a giant robot, but she found she couldn't change shape to fight it. 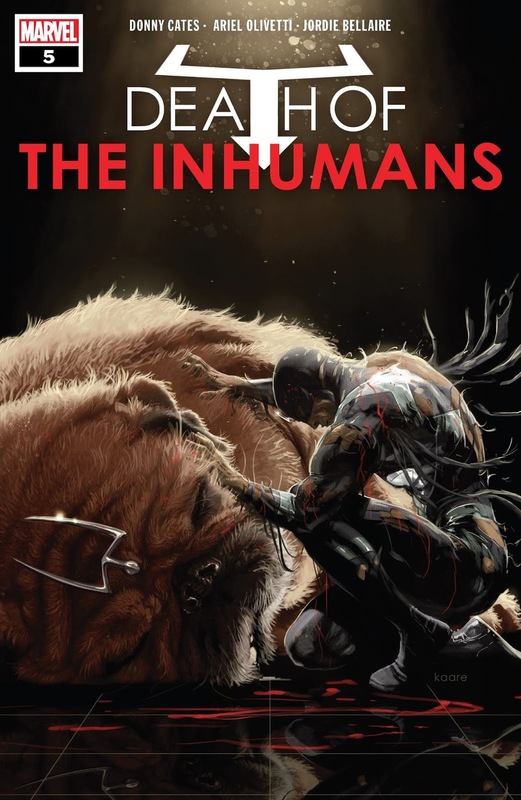 When last we left our gyro-eating heroine, Wolverine deduced that she was an Inhuman, not a mutant, and Medusa told Lockjaw to keep an eye on her. 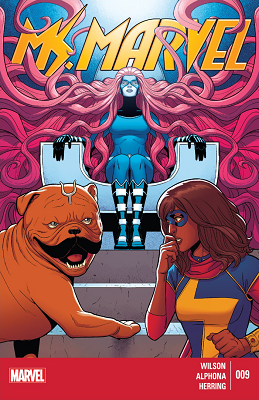 In this issue, we learn an important fact about Lockjaw. 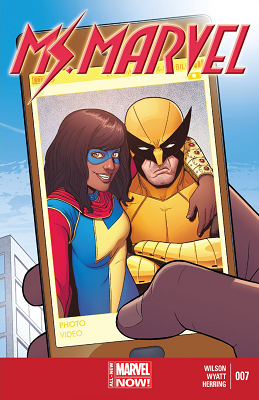 When last we left our fangirling heroine, she and Wolverine encountered a giant alligator in the sewers. Now that I want to wash out my mouth and mind from that awful taste of NewSupermanFlavor, the other one of the Big Two offers sweet refreshment in unspoiled form. 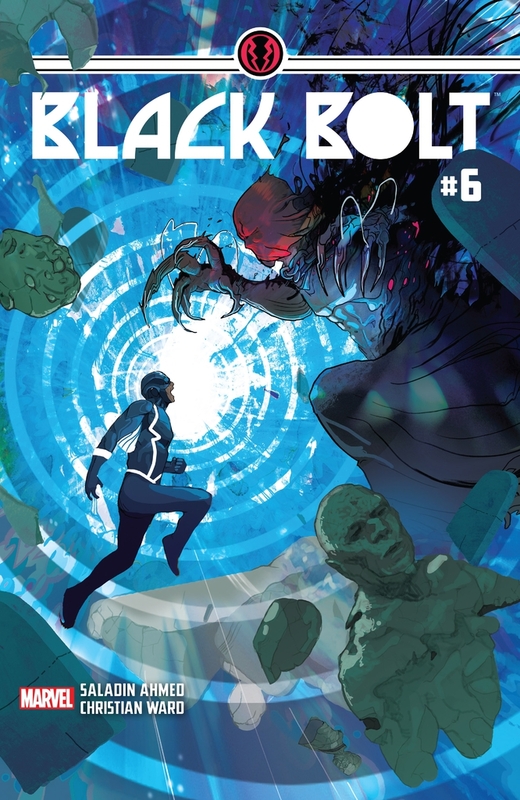 Newsarama has the preview of FF #7. 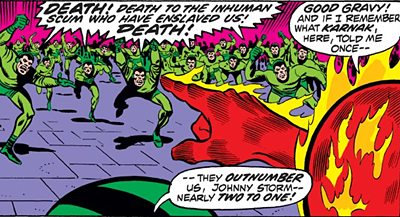 When last we left our heroes: a wacky-acting Fin Fang Foom transformed Tony, Bucky and Thor into frogs. 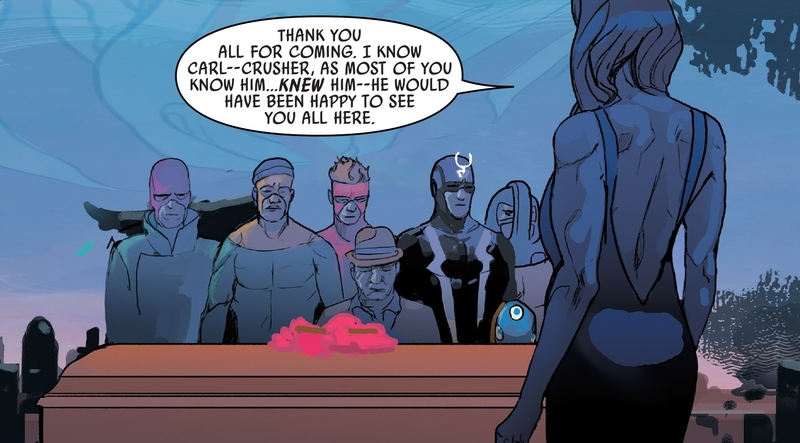 Thor used his psychic link to Throg to summon the Pet Avengers; F-cubed swallowed first the Frogvengers, then the Pet Avengers - and made Lockheed an offer he maybe, possibly, can't refuse? 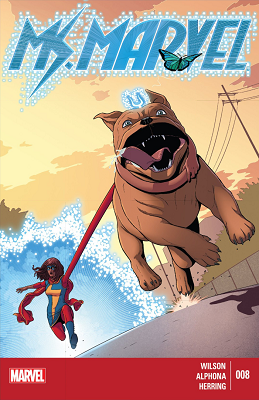 Next issue: The cover shows the Pets doing battle against a de-frogged Thor, IM and Cap. How? Why? Tune in next month, pet lovers!